Tala Bay guarantees you a memorable holiday on every visit. 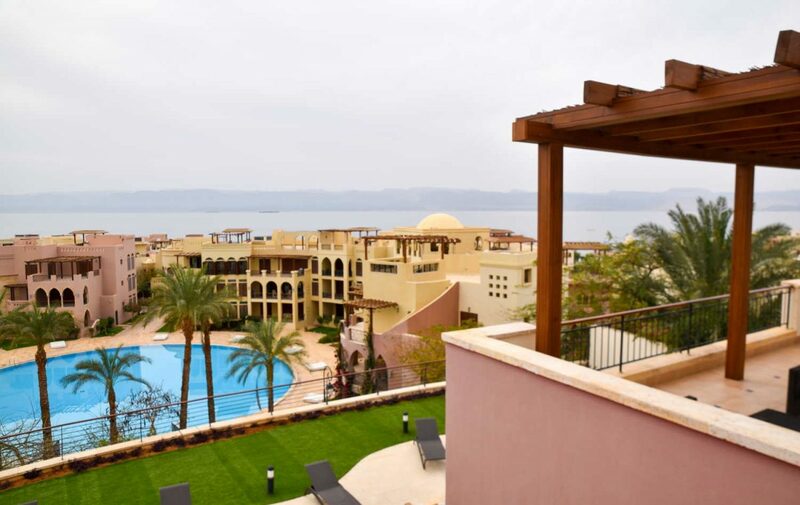 Extending over a land area of 2.6 million square meters and over 2 kilometers of beach front overlooking the breathtaking views of the Gulf of Aqaba, Tala Bay is a project that continues to define the benchmarks of destination management in Jordan. It was conceived as the first fully integrated lifestyle destination in the Kingdom, enjoying a strategic location that is only 14 kilometers south of the city. Tala Bay is a seaside lifestyle destination in every sense of the word. With a state-of-the-art marina, a booming commercial area, luxury and boutique hotels, water sports and activities, and a well-rounded selection of real estate properties, it is positioned to serve as the ultimate destination for those seeking to experience the Red Sea at its fullest potential. To date, approximately 10% of the land bank has been developed and successfully operated, while plans for further expansion have already been formulated in line with JPTD’s new vision adopted in 2014. Tala Bay is planned to be fully self-sufficient from an infrastructure point of view, providing a diverse range of integrated services that span roads, electrical grids, water supply and modern communication technologies. The project’s components also feature stunning aesthetics that combine timeless elements of local and regional architecture with creative modern touches, thus transporting residents and visitors into an oasis of tranquility where every need is anticipated and fulfilled. The master plan for Tala Bay, developed by the Minnesota-based construction firm, Ellerbe Becket, was conceived to provide a wide variety of attractions catering to different consumer segments, including four and five star hotels, residential units that span villas, semi-villas and apartments, as well as different sports and leisure. The beating hearts of the Tala Bay project are the Marina, Marina Plaza and Beach Club, all of which commenced operations in 2005. The total area of the marina is around 30,000 square meters, with a berth that services approximately 56 yachts and boats and 3 boats of up to 40 meters. The Marina also has an independent harbor master building and a fueling station to provide services to vessels, in addition to being an official port of entry for Jordan through the Red Sea. Tala Bay is also home to an impressive array of world-class dining outlets. With specialty restaurants that serve a wide variety of international cuisines, thematic cafes and poolside bars, residents and guests will always have something new to experience. Moreover, the Marina Town at Tala Bay was conceived to serve as a well-rounded commercial center, featuring more than 110 retail outlets that offer dining, shopping and other essential services.